This module teaches some proven ways to come up with the next big idea that will transform your organization and put you on the fast track to promotion. 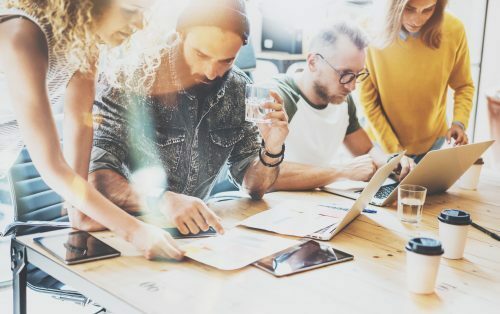 Knowing how to leverage these tools will come in handy as you are asked to solve problems, think outside of the box and contribute ideas that move the company forward. Identify a few of the opportunities that you could put these brainstorming tactics to good use. How will you remember to incorporate these tools the next time you need to identify a creative solution? Of the following techniques, which would you be most confident incorporating? Mind mapping / right braining / proactive actions / break and build / pessimist vs. optimist / randomness. Find an opportunity to incorporate one of the 7 methods taught in the module to a current problem-solving opportunity. Either conduct the exercise solo or practice with a team during an upcoming meeting.